What are ragweeds? Why worry? What do we know? What you can do? 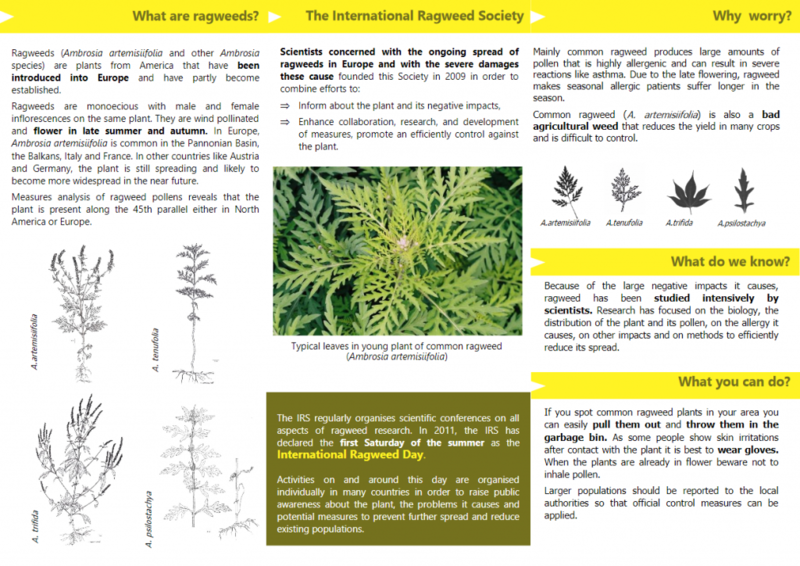 Please find all the answers to these questions in this leaflet prepared by the International Ragweed Society for the 2016 International Ragweed Day. What is ragweed? Why worry? What do we know? What can you do? 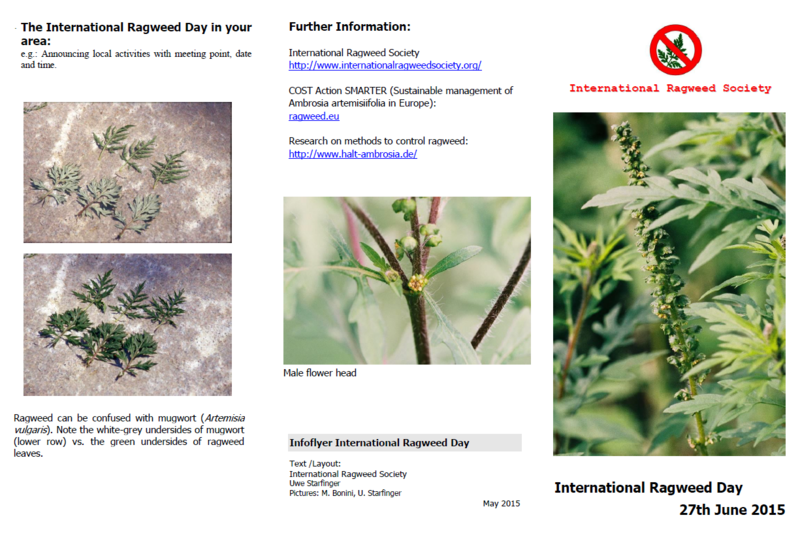 Please find all the answers to these questions in this leaflet prepared by the International Ragweed Society for the 2015 International Ragweed Day.